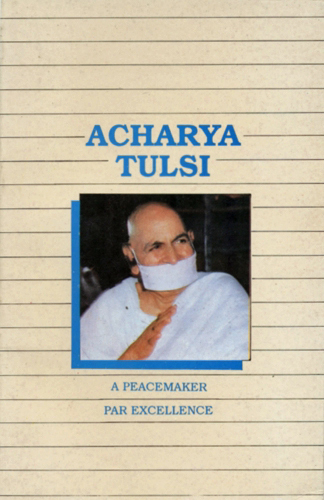 The story of Achary Tulsi's life is a new manifestation of Indian awareness (consciousness). His unusually long period of monkhood, unprecedented number of years of Acharyaship, unparalleled barefoot marches, wide contact with masses, heroic courage, remarkable spiritual development, prodigious amount of creative writings and his gift of hundreds of dedicated workers - all sound singularly great and incredible. The story of Acharyashree's life is the resplendent saga of miraculous achivements which infuses the reader with a new breath, a new inspiration and a new power of light. In the history of human preserverance we come across a rare example of a man who, like Acharya Tulsi, renounced his physical comforts and dedicated his life to the noble cause of the well-being of the people. Acharyashree has given us a new interpretation of religion. We live in an age of science. Our expectation of a religion is that it should rid man of his mental tension, help him to experience the spiritual joy which he is unable to derive from affluence and arouse in him a moral awakening. Acharyashree realized it and filled the gap by putting forward before the world a constructive programme of human regeneration in the form of the ANUVRAT MOVEMENT and PREKSHA MEDITATION. It is a religious revolution which has in it the power to preserve its existence even in this age of economic and political upheavals. Let us know the story of Acharyashree's life on the eve of the fiftieth year of his Acharyaship. A study of his life will provide a man with an insight into the problems of his life and help him to unravel them. The usefulness of a life lies alone in its ability to irradiate every particle of the earth with its glow.